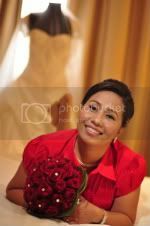 In the midst of the hustle and bustle of living, we usually need to take the time to unwind, relax and de-stress. How do you do that? Is there a specific thing that relaxes or soothes you? Personally, I do find the sound of rain and even the sound of water relaxing. I specifically like water fountains but it can be pretty expensive if we're talking about outdoor garden fountains. 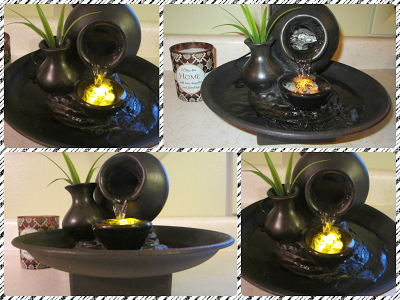 So for now, I am quite happy with even just a tabletop indoor fountain from Soothing Company. They offer a wide range of high quality products that help relax and soothe the body and mind. I thank them for sending me this pretty ingenious Pouring Pot Tabletop Fountain to review. It is quite timely and fitting for me to have one like this in the house since in between work, chores, toddler and blogging activities, I really do need something to keep my mind free from all worries. It really is a soothing thing to look at. I like the fact that it's just a small product, I can put it on the countertop or even on the dining table. It came nicely packed which prevented being damaged while on transit. Assembly of this thing was easy and quick. It came with clear assembly instructions and hubby did it in less than 10 minutes. 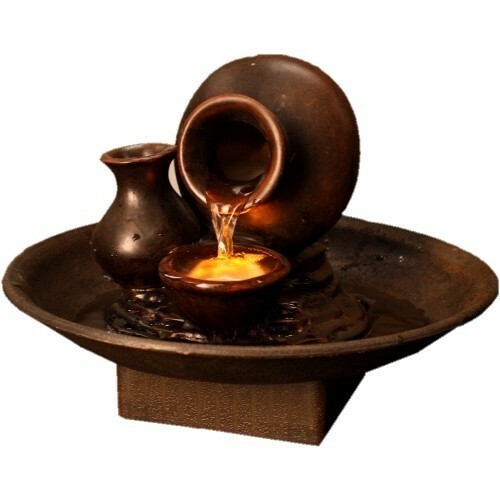 As you can see, this product features a pouring pot design which I thought is lovely. It is made of durable poly-resin material and is safe to use for indoor or outdoor. It includes a electric recirculating pump and and underwater LED light which makes this fountain all the more soothing to look at because of the effect of pouring water against the lighting. Also, the mild hum of the water pump added to the mystique of this awesome little product. Last night, I just sat in front of it and just watched and let it captivate me for a while. Like I've mentioned above, they have other soothing products to choose from. If art is your thing, they also have an amazing selection of outdoor wall art. They even have bean bags, fireplaces, massage chairs, hammocks, outdoor water fountains and so much more. To learn more about their products, you can check out their website and find that perfect soothing item you have been looking for. Disclaimer: I received the above product for free in exchange for a fair and honest review. I was not financially compensated for this post. All opinions in this post are mine.